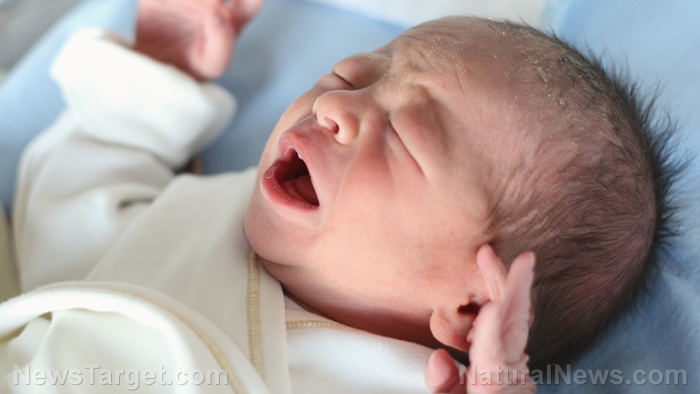 (Natural News) In the first study of the effects of the shutdown of a coal-fired power plant due to a federal regulation on single pollution source, researchers from the Lehigh University discovered higher birth weight and reduced risk of premature births after the shutdown. The research specifically studied the effects of the Portland Generating Station, a coal-fired power plant in Pennsylvania after it was closed down in June 2014. This follows a ruling made by the U.S. Environmental Protection Agency (EPA) that identified the plant as a “sole pollution source” which has impacted nearby regions in New Jersey. In their report, Muzhe Yang and Shin-Yi Chou, professors of the Economics department at Lehigh University, studied data of babies born before the shutdown to those born after it to determine the impacts of shutting the plant. Researchers found out that the shutdown affected the likelihood of low birth weight. After the shutdown, the probability of the birth of an underweight baby was around 15 percent. Likewise, the probability of a preterm birth was also reduced by 28 percent in regions downwind of the power plant. This effect was generally found in babies in New Jersey located within 60 miles of the plant. The data that was analyzed included the plant’s emission data from June 2014 to December 2015, a year and a half after the shutdown, when sulfur dioxide emissions were almost zero. These were contrasted to emission data a year and a half before the shutdown when sulfur dioxide emissions were noted to be at 2,596.648 tons per month. These emissions dropped by 99 percent after the plant was closed down. This also highlights the challenges in federal air pollution regulation, especially when it comes to upwind and downwind states. While the upwind state benefits from the plant through job creation and tax revenue, the downwind state reaps the pollution created by the plant, thanks to the wind. In a companion study published in April 2017, the researchers found that babies born to women living far from the plant during 1990 to 2006 were still 6.5 percent more likely to have low birth weight and a 17.12 percent risk of more serious low birth weight. The Portland Generating Station has been releasing an average of 2,600 tons of sulfur dioxide in the air for decades. In a report by the Environmental Integrity Project, the plant placed fifth in the U.S. in 2006 for its sulfur dioxide discharge rate. It generated a total of 30,465 tons of sulfur dioxide in 2009, which is more than double the annual emission from all power plants in New Jersey combined, as indicated by the New Jersey Department of Environmental Protection. Studies have shown that high levels of exposure to sulfur dioxide can alter a person’s ability to breathe and cause a decrease in respiration, as well as infection of the airways. People who suffer from asthma are likely to have a reaction to low levels of the gas. Learn more about how to protect yourself from pollutants by going to Natural.news today.